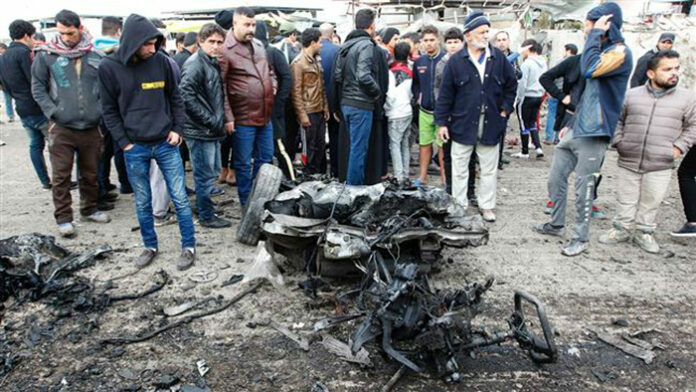 Iran has strongly condemned a terrorist car bomb attack in the north of the Iraqi capital of Baghdad, urging collective measures to firmly fight terrorism across the world. 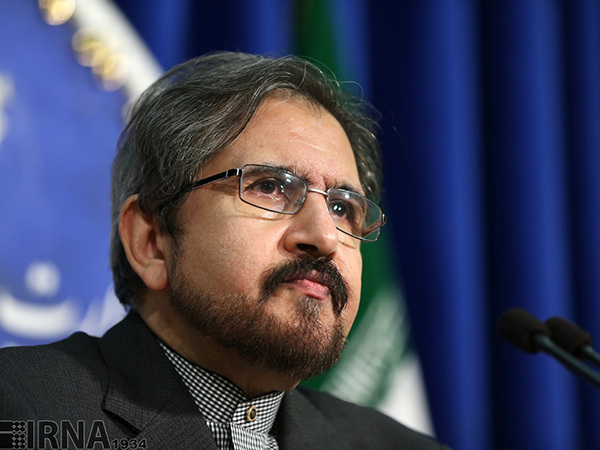 The Iranian Foreign Ministry Spokesman Bahram Qassemi said on Monday the region, particularly Iraq, has been witnessing increasing terrorist attacks over recent days. Such acts of terror are the reaction of Takfiri terrorists to their crushing defeats in the region in recent weeks, he said, adding that they are also the result of the lack of firm determination of those merely claiming to be fighting terrorism in the region and throughout the world. The Iranian spokesperson expressed hope that political strategies in the New Year would reinforce unity among countries in a bid to eliminate terrorism. Qassemi also offered condolences to the Iraqi government and nation as well as the bereaved families of the victims of the Monday terrorist attack. At least 39 people were killed and 57 more injured after a terrorist car bomb attack rocked a busy square in Sadr City, a Shia-populated suburban district of Baghdad. Reports said that an explosive-laden truck was detonated in an outdoor market, hitting day laborers and a nearby police checkpoint. Nine of the victims were passengers on board a minibus that was passing through the square at the time while three police officers were also among the victims. ISIS terrorists claimed responsibility for the attack. They regularly conduct similar attacks targeting civilians in the conflict-ridden country. Three bomb blasts killed 29 people across Baghdad on Saturday while an attack near the city of Najaf claimed the lives of seven policemen on Sunday. ISIS claimed responsibility for both assaults. Gruesome violence has plagued parts of Iraq ever since ISIS terrorists mounted an offensive and took control of portions of the Iraqi territory more than two years ago. Iraqi army soldiers and allied fighters are leading operations to win back militant-held regions. Data from monthly reports issued by the United Nations Assistance Mission for Iraq (UNAMI) shows that acts of terrorism killed a total of 12,038 Iraqis and injured 14,411 others in 2016.